The project, funded with 550,000 USD from Coca-Cola Vietnam, covers Dong Thap, Long An and An Giang provinces. It will train local farmers to adopt flood-based livelihoods. 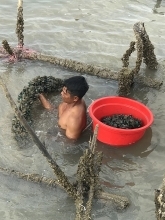 At the launching workshop in Thap Muoi district of Dong Thap, the three provinces’ departments of culture and rural development introduced flood-based livelihoods that have proved effective such as integrated rice-shrimp farming, integrated rice-duck-fish farming and rotating rice and lotus farming, which have brought profits three times higher than cultivating three rice crops per year. 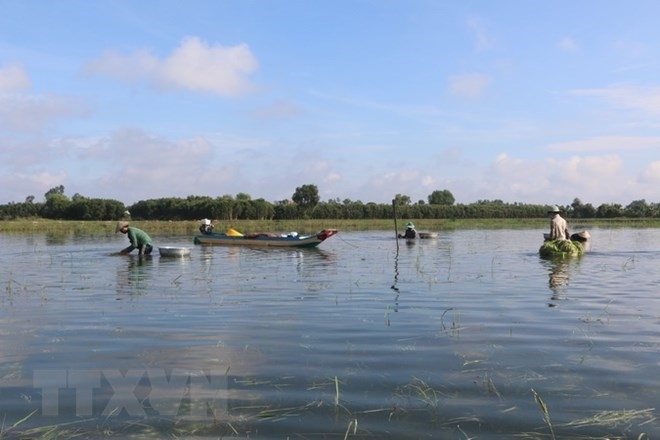 The project will be piloted in 450ha for three years, including 150ha for lotus cultivation in Thap Muoi district of Dong Thap, another 150ha for integrated lotus farming-ecotourism in Tan Hung district of Long An and the remaining 150ha for rice-aquatic farming in Tri Ton district of An Giang. Dinh Nguyen Thi Huong, a representative of Coca-Cola Vietnam, said the project will also help local communities access clean water sources and protect water sources in river basins through conservation and awareness raising. The project aims to conserve and restore the water storage capacity of the Mekong Delta, which records about 6.7 million cu.m. of floodwater each year. It will be expanded to other Mekong Delta provinces in the future.